Want to know how to get ripped fast and how to get abs of steal? Learn the 7 rules to get ripped muscle fast used by athletes, fitness models and bodybuilders! The first rule of how to get ripped fast requires you to train more efficiently and as far as cardio goes, high-intensity interval training (HIIT) is considered by many trainers to be the most effective exercise to burn fat and get ripped muscle fast which will also help you on your quest to get abs fast too. HIIT involves alternating between intense bursts of cardio activity (such as sprinting) followed by a period of lower-intensity exercise (such as walking at a slow pace) or complete rest. This gets your heart rate up and ramps up your potential to build lean muscle and get ripped faster.. Compared to “steady state” cardio HIIT helps you get ripped quick because the intensity is higher and you are more able to increase aerobic capacity, burning fat faster and getting better ripped muscle results in less time. Expert trainer Josh Blottin recommends doing HIIT a minimum of 3 x per week for 20mins (plus warm up and cool down) in the mornings before you eat (Fasted Cardio) to get the best ripped muscle benefits for your body! We all know the importance of protein to build lean muscle and get ripped muscle fast but did you know it is suggested athletes eat around 1.6-2.0g of protein per kg of body weight every day. As an example, an average ripped male weighs 90kg and should be eating 144g-180g of protein per day from foods such as lean meat, fish, eggs, nuts and low fat dairy. If you are too busy or simply having trouble eating enough protein, adding in a lean and ripped protein powder such as Vitalstrength Hydroxy Ripped is an easy way to boost your daily protein intake. 2 serves of Vitalstrength Ripped protein provides around 40% of you daily protein needs plus added fat burn and muscle building ingredients to help you get ripped fast. Eating a high protein diet will also help you get abs faster too. Remember abs are made in the kitchen! If you want to build lean muscle and get ripped muscle fast you need to give your muscles time to rest and recover between intense training sessions. When you lift or do high intensity cardio your muscle tissue and energy stores are broken down and depleted so it is vital that you plan recovery time between workouts, get plenty of sleep (7-8 hrs per night) and fuel your body with recovery nutrients. Try to avoid weight training on consecutive days, even if you are targeting different muscle groups, drink plenty of water and maybe even get a massage from time to time. If you are serious about building ripped muscle, special attention should be paid to your post-workout meal or shake. Vitalstrength Hydoxy Ripped is the perfect post workout protein supplement to repair and build ripped muscle. It contains rapid absorption ingredients including muscle building amino acids for proven muscle recovery and lean muscle growth. Adding supplements like BCAAs and L-Glutamine to your post-workout shake will further enhance your ripped muscle results. Getting ripped muscle fast isn’t just a matter of lifting heavier weights or performing more repetitions, train smarter and add variety into your workout by using big compound movements which allow you to lift more weight and get faster lean muscle results. Compound movements are those that involve several muscle groups and more than one joint and are the biggest lean muscle builders. Examples are squats, leg press, lat pull downs and bench press. Compound exercises activate more lean muscle mass which means you can burn more energy, lose body fat and get ripped muscle fast. Compound exercises also result in greater lean muscle gains which lead to elevated BMR (Basal Metabolic Rate). BMR calculates the amount of calories your body burns even when at rest. Carbs aren’t always the enemy, but if you want to get ripped muscle fast you need to have a carbohydrate strategy that considers carbohydrate timing, choosing the right carbs and balancing your nutrients carefully. As a rule to get ripped muscle, eat fewer carbs and more protein, stick to nutritious carbs like whole grains and vegetables, and consume carbs at the optimum time for lean muscle growth and repair. The best times to consume carbohydrates are in the morning as soon as you wake up (because you haven’t eaten for at least 6-8 hours and cortisol levels are lifted) as well as a controlled amount post workout. Another important time is 1 to 1 1/2 hours pre-workout for energy and fuel. To further assist your lean muscle gains, make sure you aren’t consuming unnecessary sugars/carbs in sugary drinks or alcohol. Replace soft drinks and energy drinks with water or a low carbohydrate, lean muscle protein shake like Vitalstrength Hydroxy Ripped and keep alcohol to a minimum. If you don’t track your progress then you won’t know if you aren’t building lean muscle fast enough or if you are gaining muscle size too fast and adding unnecessary body fat. Firstly, determine the overall outcome of what you consider to be the optimum ripped muscle body ( e.g. how to get abs fast ) and write it down. Constantly challenge your body by firstly recording short term ripped muscle goals that you will aim to achieve every 2-3 weeks. For example, record how much lean muscle you want to build per week and how quickly you want to get abs of steal, what strength gains you want to achieve and what your target body fat % is and then record how you are going to reach these goals and get ripped quick. Every set, every kilometre, every ab that pops out on your stomach, every sweaty minute and every time you make the choice to walk into the gym represents an accomplished goal. Big changes and building ripped muscle fast is both physically and mentally challenging. If you’ve made the commitment to getting ripped fast and getting abs fast, having the right mindset is the key to getting results. If you can keep pushing your body in the gym, your mind is forced to come along for the ride. If your mind is weak, you will quit as soon as the burn and fatigue sets in. You need to train your mind to work through fatigue and keep pushing your body for results and lean muscle gains. As you push through difficult sets and workout challenges, your mind will become increasingly resilient and you will be able to push even harder. 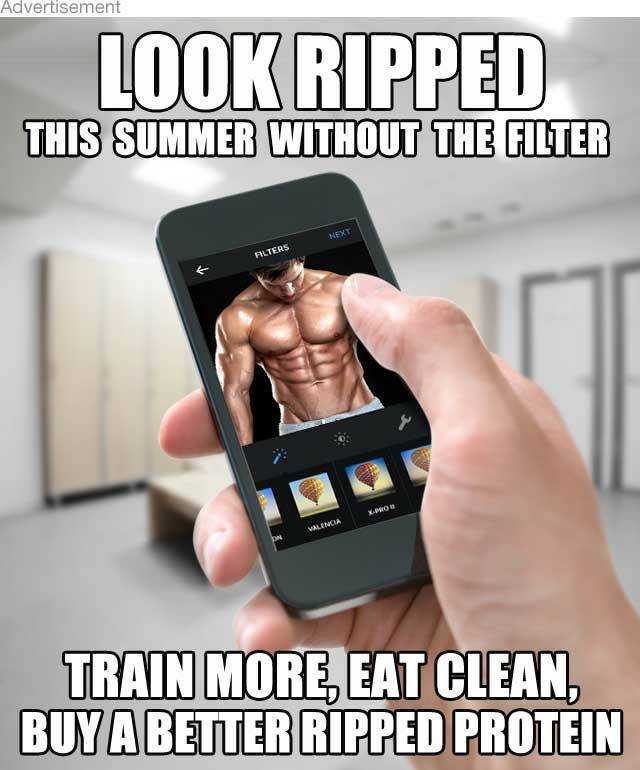 If you follow these easy rules in how to get ripped fast you will be amazed at how quickly you build lean muscle, sculpt six pack abs and get results. We know that it’s hard to stick to the rules all the time but remember that the closer you stick to them, the more likely you are to get the ultimate lean and ripped body and six pack abs you dream of!